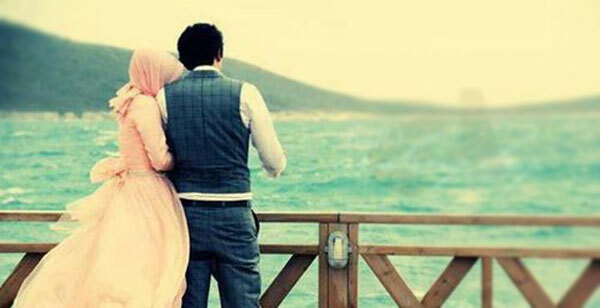 Marriage in Islam is a beautiful relationship. It is also an intricate one. Muslim husbands and wives are asked by Allah to live with love and be each other’s garments and what greater a security that could be for the couple than that which Allah has sent upon to them Himself. But we must be conscious of displaying our marriage affairs in public and that is where Allah has asked us to be careful. Privacy in marriage has many different categories; the most extreme of those is to share the stories of intimacy with your spouse with others, which indeed Allah has strongly discouraged. Another category in privacy that comes about is the use of social media (in the current world) to show public displays of affection. While the Prophet (PBUH) himself publicly displayed affection for his wives and Allah encouraged it as well, we must remember that the evil eye is always present just like Allah’s blessings. And it happens to be real too. So Muslim couples should be conscious to display their love for their spouses publicly. Privacy in Muslim marriage does not only extend to displays of intimacy or affection, though they are the ones Muslim couples should be most careful about. We should be careful about keeping many other affairs private as well, like your husband’s financial position, his job details, the amount of money you spend on your children’s tuitions and other homely affairs. The more marital affairs are shared with friends (who really are NOT your friends!) the more there are chances of shaitaan getting to them. So try to keep your private affairs in marriage to yourself rather than publicizing them in public, whether they are good or bad. The further the marriage is away from the eyes of evil the more you get a chance to truly work on it and get Allah’s blessings IA.